Payless ShoeSource is the ultimate destination for the largest range of Men, Women's and Children's footwear. 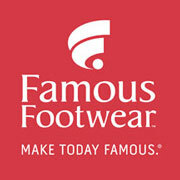 Find a mammoth selection of casual shoes, dress shoes, sandals, slippers, sneakers and so much more. Start saving today at Payless.com. Do you love Payless ShoeSource?